Details: "A naturally refreshing, uninhibited experience. Renew your senses with the calming scent of herbal mint fusion. Then let this low lather cleanser go to work, combining the conditioning properties of a nourishing oil while gently cleansing the hair, for touchably soft hair. 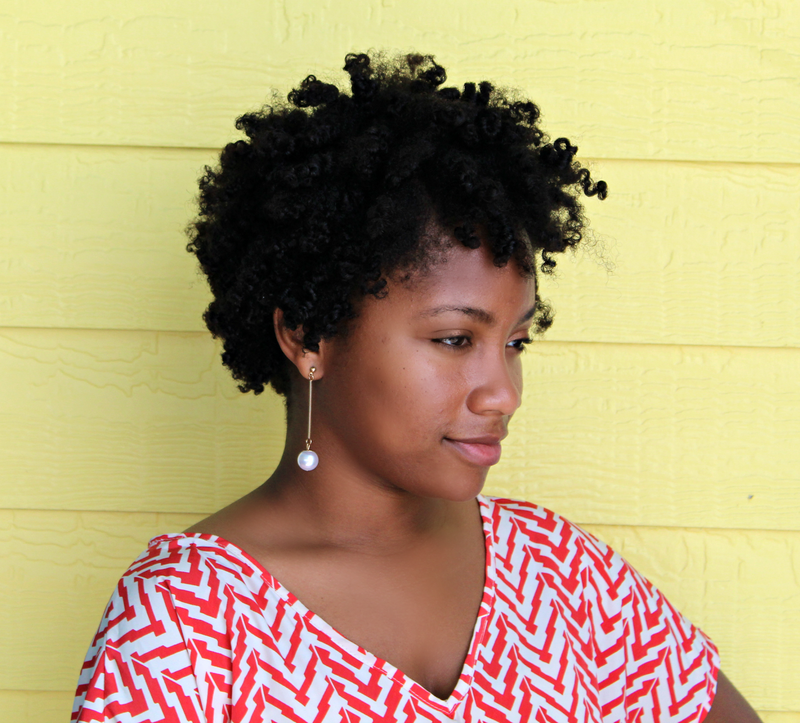 Naturally this sulfate free formula is gentle enough for smoothing dry and damaged hair." Directions: "Massage 3-4 pumps into wet hair. Let it go to work for a few minutes then rinse it out. That's it. Give your regular shampoo and conditioner a break." Ingredients: Water/Eau, Stearyl Alcohol, Cetyl Alcohol, Stearamidopropyl Dimethylamine, Rosmarinus Officinalis (Rosemary) Leaf Extract, Mentha Piperita (Peppermint) Oil, Mentha Arvensis Leaf Oil*, Menthol, Fragrance/Parfum, Glutamic Acid, Dimethicone, Phenoxyethanol, Benzyl Alcohol, Zinc Pyrithione, Citric Acid, Sodium Chloride, Methylchloroisothiazolinone, Methylisothiazolinone. My Thoughts: I absolutely loooooove this cleansing conditioner. It's the best one I've ever tried hands down. I use to be in love with the As I Am Coconut Cowash but this product has been crowned and has taken the throne.♛ The packaging is nice. This bottle comes with a pump top and you get a lot of product for the price. However, the pump top does not reach the bottom of the bottle. Once the product is almost gone, the pump doesn't pump conditioner anymore. I physically have to pat the bottle upside down to get the remainder of the product out. Also, for thick haired ladies, the bottle will last a long time (depending on how often you use it). I purchased it last year in October and I just ran out of it. I used it once a week. As far as the consistency, this product is very thick and creamy. I don't have to pre-poo or detangle before washing anymore because this conditioner melts away every tangle/knot from my strands. It smoothes my hair cuticles, which helps remove shed hair so much easier. Also, I haven't noticed any residue/buildup on my strands after washing and my hair absorbs this conditioner. My hair stays moisturized for days and my curls stay pillow soft. This conditioner does not sit on top of my hair at at. As far as the smell of this conditioner, it's okay in my opinion. It has a strong scent that is borderline headache inducing. The description on the bottle says that it is low lather, but on my hair, it does not lather at all. I typically apply oils to my hair throughout the week and this may hinder the suds action that's suppose to happen. The bottle recommends using 3-4 pumps of this conditioner. I use a lot more than the recommended about of pumps. Typically I use about 7-10 pumps of this conditioner because my hair is so thick. 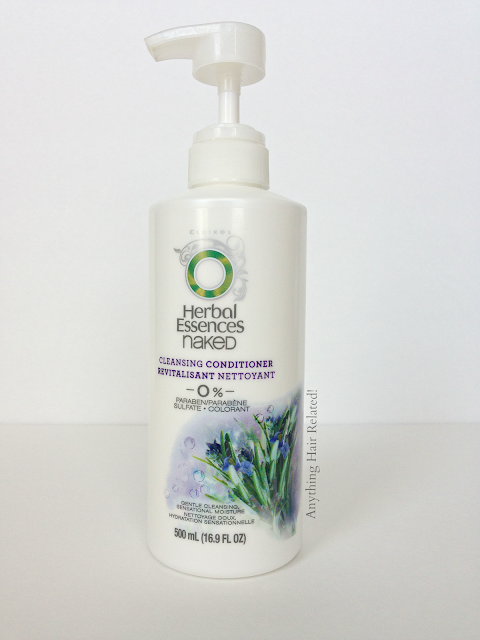 Every since I have started using this cleansing conditioner, my dandruff prone, irritated scalp has been cured. I go longer periods of time without feeling my scalp itch and I don't see flaky white spots when I part my hair. My hair is shinier, softer, bouncer, and more moisturized than it has ever been. Also, the fact that it's paraben and sulfate free is an added bonus. Keep or Toss: It's definitely a KEEPER!